Paul F. Boulos, Ph.D., Hon.D.WRE, Dist.D.NE, Dist.M.ASCE, NAE, has been honored by ASCE for his contributions as an outstanding leader in the engineering profession by being named a Class of 2015 Distinguished Member. Boulos is one of the world’s foremost experts on water resources and navigation engineering. He was awarded Honorary Diplomate status by the American Academy of Water Resources Engineers (AAWRE) as well as Distinguished Diplomate status in Navigation Engineering by the Academy of Coastal, Ocean, Port & Navigation Engineers (ACOPNE), the top honors for both academies. 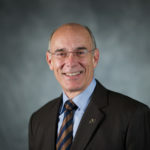 He also was inducted into the University of Kentucky College of Engineering Hall of Distinction, the most prestigious honor given by the university to its alumni, and was elected in 2014 to the National Academy of Engineering, one of the highest professional distinctions accorded to an engineer. Boulos is the founder, president and chief operating officer of Innovyze, a leading global innovator of business analytics software and technologies for smart wet infrastructure based in Broomfield, Colorado. He is also a president and a director of MWH Global. Boulos is the author of nine authoritative books and more than 200 technical articles on issues critical to the water and wastewater industry. 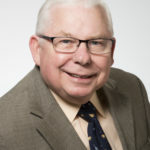 He has received a range of honors from national and international scientific and engineering societies, governments, universities, and NGOs, including notable technical awards for excellence in scholarship from ASCE, the American Water Works Association, and the U.S. Environmental Protection Agency. He is also a recipient of the U.S. Ellis Island Medal of Honor, awarded for outstanding personal and professional achievement and the honoring of personal heritage. Boulos has a bachelor’s in general science from the Lebanese American University, and was honored as the 2008 Alumnus of the Year. He received a bachelor, master, and doctorate degrees in civil engineering from the University of Kentucky. He also completed the Advanced Management Program at Harvard University.